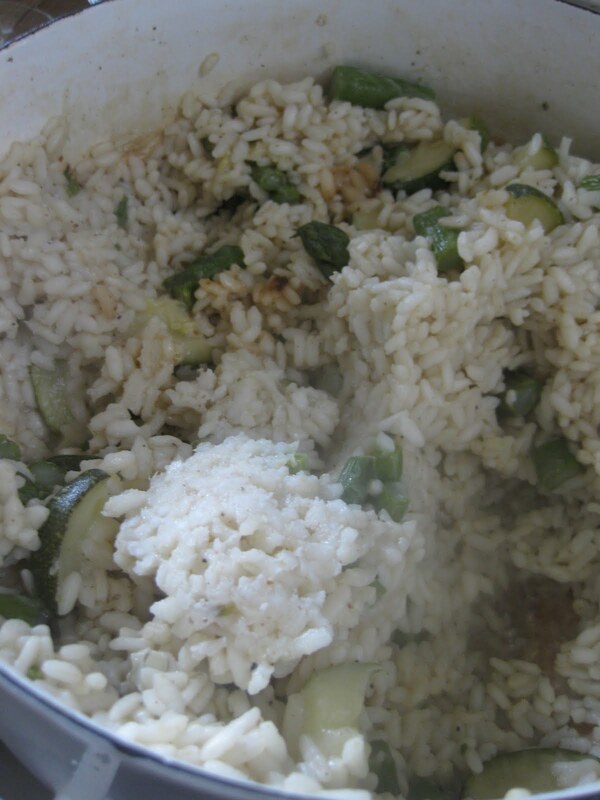 I made that yummy risotto the other day and aimed for leftovers just for this recipe. I first had this wonderful appetizer at my sister’s wedding. She had it catered by a great Italian company that specialized in homestyle cooking-their food was unbelievable (that is really something for a lot of weddings) but it was their starters that wowed even more than the rest. My favourite (to the tune of six of them-not wise in a tight bridesmaid dress) were the aracini. 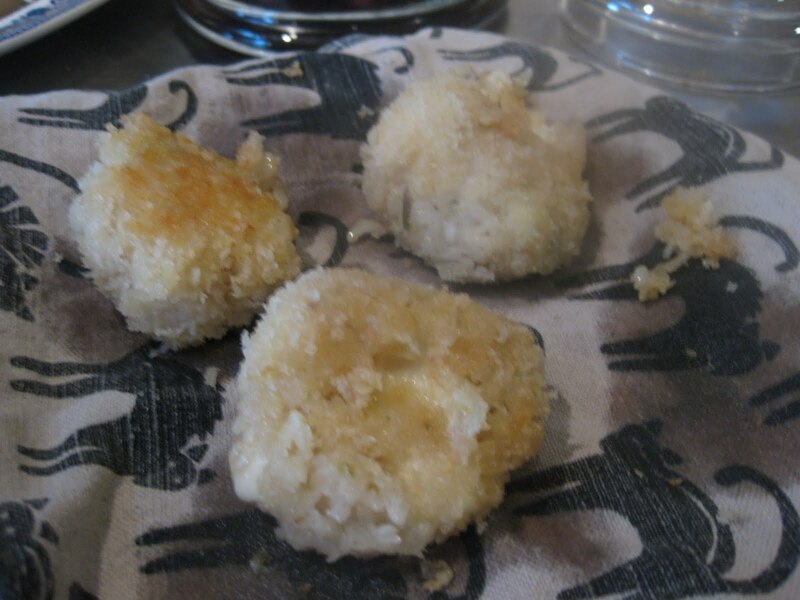 Aracini are fried balls of risotto usually stuffed with chunks of cheese. It was the start of my love affair with these litte beauties but even more so, the start of a marriage to really admire. Let’s face-it, I had you at fried didn’t I? 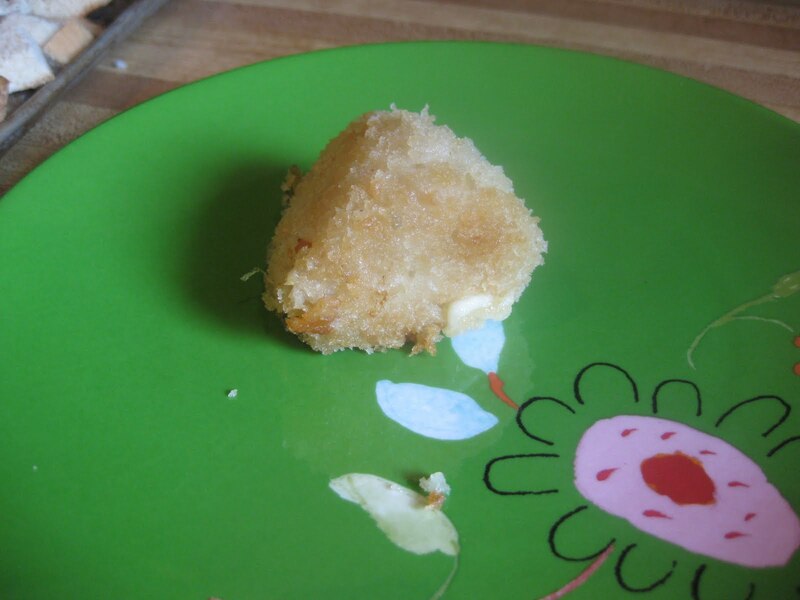 They freeze quite well and can just be reheated in the oven. I usually don’t have many left though. 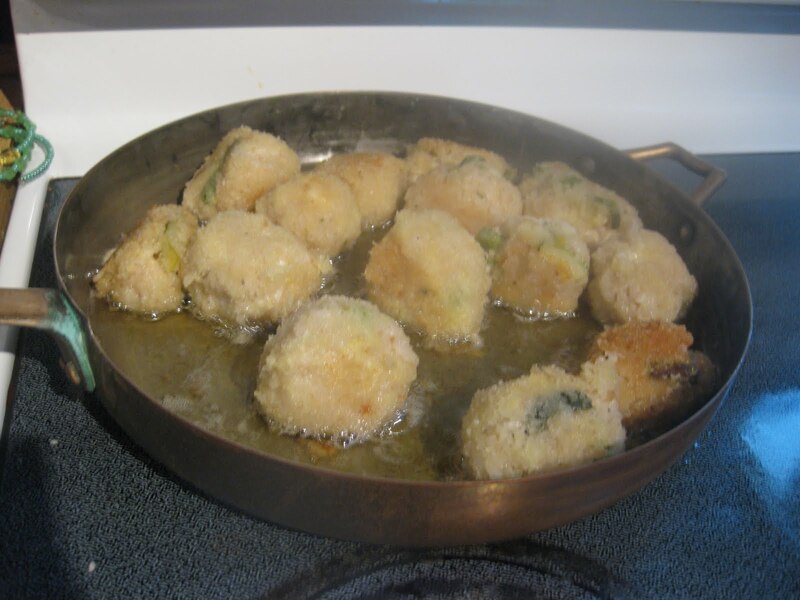 They tend to be eaten as they come out of the frypan. 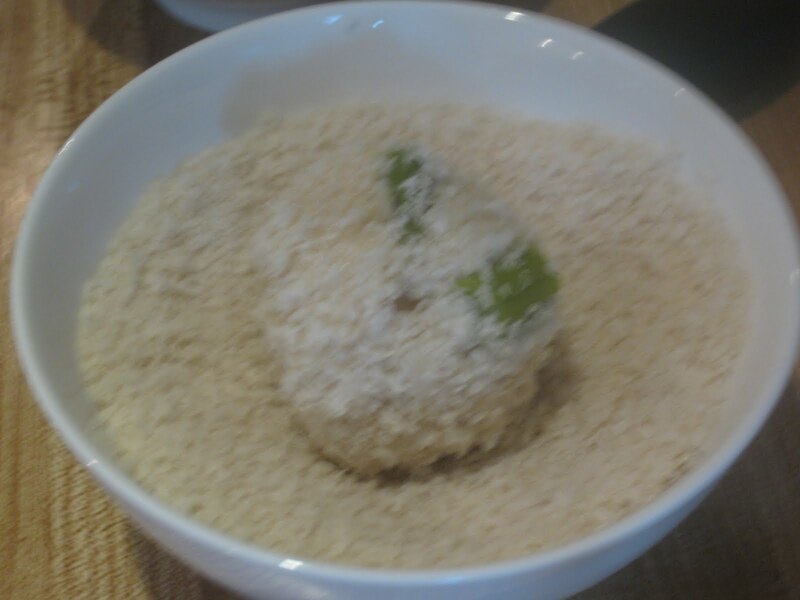 Bread crumbs and egg wash.
Take a heaping Tablespoon of leftover risotto and flatten it. 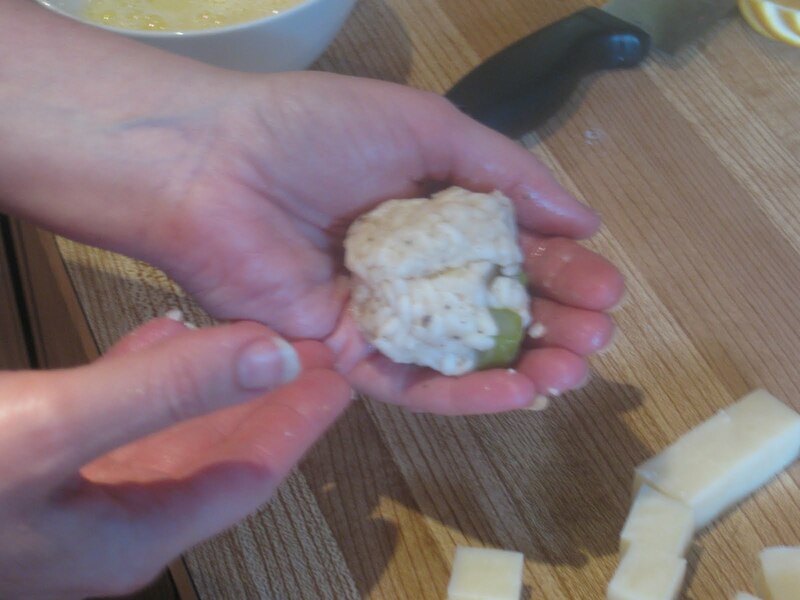 Place a piece of mozzarella (about 1 cm X 1cm) and then form it into a ball. 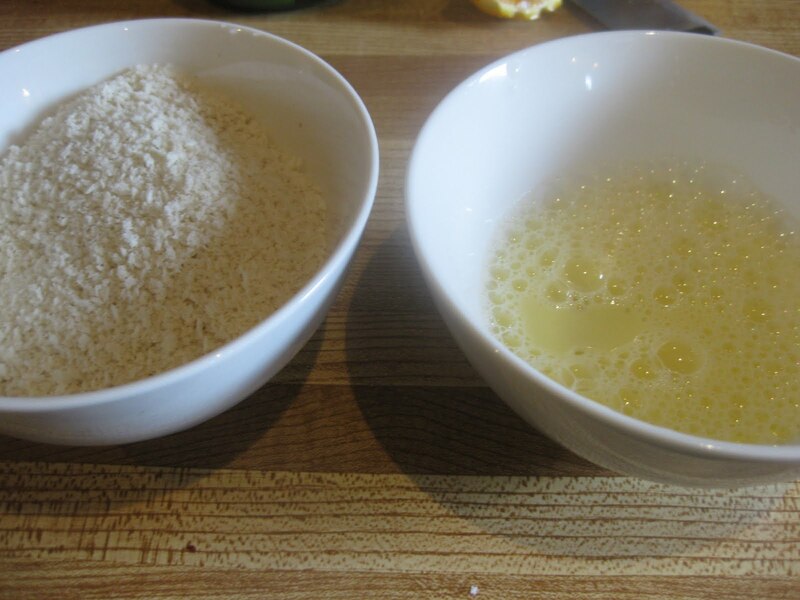 Drop into the eggwash and then into the breadcrumbs. Fry in a shallow skillet with a 1/4 inch of very hot oil in it (I used canola-don’t use olive oil, it’s smoking point is just too low). Eat while hot. 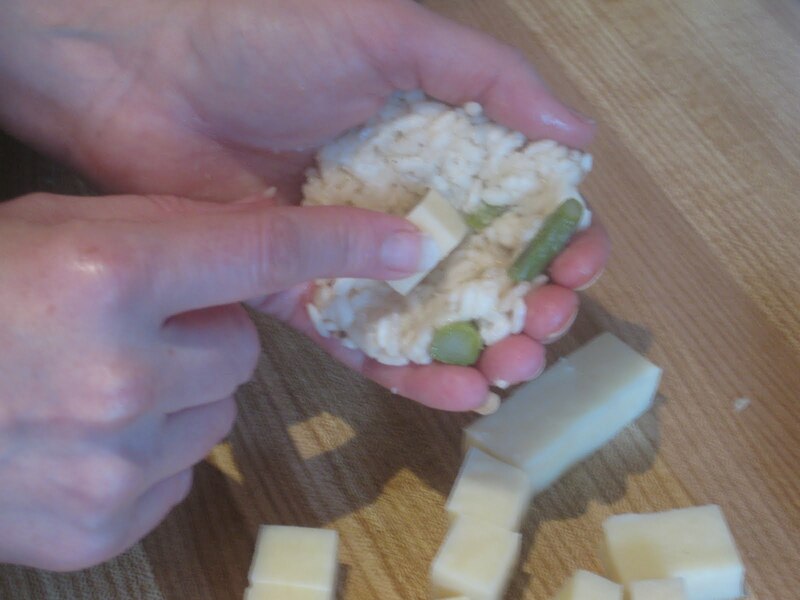 I love to serve a bit of marinara sauce to dip them into on the side.